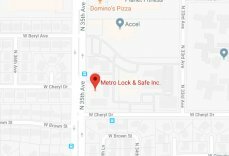 9 Interesting Facts About Phoenix, AZ | Metro Lock & Safe Inc.
Phoenix is the capital of the southwestern U.S. state of Arizona and is one of the fastest-growing cities in the nation. It is the fifth-largest US city that’s rich in art and culture. Located in the heart of Arizona, the city is home to resorts, shopping malls, nightlife, attractions, and events, not to mention the beautiful desert scenery. It calls the Valley of the Sun home. Here are some interesting, fun facts you’ll love to tell others about our favorite city, Phoenix. According to the Arizona Census Bureau, 40% of people living in Phoenix are native to Arizona. 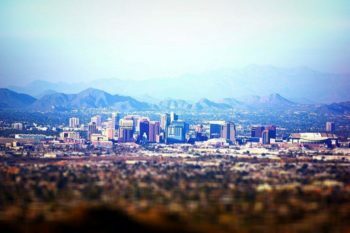 The city has a well-deserved reputation as a transplants city, but Phoenix still has the lowest rate of natives amongst its residents. The suburbs have even lower rates of Arizona-born natives. Hohokam, a previous civilization among several others, resided in Phoenix. In 2006, the Phoenix Convention Center was constructed. During that construction, archeologists discovered houses that were built more than 3,000 years ago beneath the old Phoenix Civic Plaza. Phoenix is the most populated state capital with at least 1.5 million residents. In fact, it’s the only state capitol whose population surpasses one million. Moreover, its population exceeds that of the second-biggest capital, Indianapolis, with only 850,000 residents. Known to people as the “area with tall buildings,” Phoenix’s Downtown spans 7th Avenue to the 7th Street, including the railroad tracks to Roosevelt. It is home to the original townsite, the City Hall, McDowell, and Indian School Road. Although there are larger federal and state parks in the US, South Mountain is the largest city park in the nation. It covers over 16,000 acres, making it 20 times the size of Central Park in the US. The hottest day in Phoenix was in June, 26, 1990, when the temperatures of sky Harbor airport hit 122 degrees. On January 7, 1913, the city registered the lowest temperature at 16 degrees. Anchorage, Alaska, Florida, Jacksonville, Oklahoma, Houston and Texas are physically larger than Phoenix by less than 500 miles. However, the city is larger than the combined size of Los Angeles and New York cities, combined. Phoenix got an inch of snow twice: in the 1930’s and from December 21 to 22, 1990. Since the latter incidence, over 25 years ago, the city has only recorded 0.4 inches of snow. Phoenix rises 1,100 feet above the sea level. The Humphrey’s Peak is the highest natural point located in the Kachina Wilderness Peak within the Coconino National Forest. Contact us to find out more about Phoenix and the many fun things you can do in this busy city.